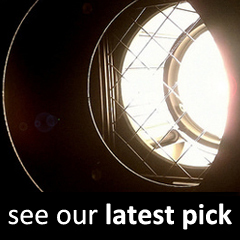 a live and open archive providing free access to a wealth of artistic, cultural and educational resources, including talks, seminars, study days, artists’ podcasts, artist interviews, curators’ talks and exhibitions. 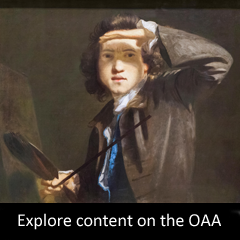 home to Open Arts Objects, a project which offers free films and teaching materials that support the teaching of Art History in schools, particularly at A-level. 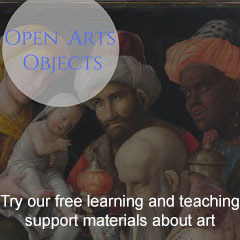 is hosted by the Art History Department at The Open University, and builds on our commitment to open access to the arts. has been produced in collaboration with over 20 arts institutions across the UK and Europe. provides an invaluable resource for students, teachers, researchers, artists and the general public. was founded by The Open University and Museums and Archives Council in 2010. It continues to be funded by The Open University.